It's all about the trunks! 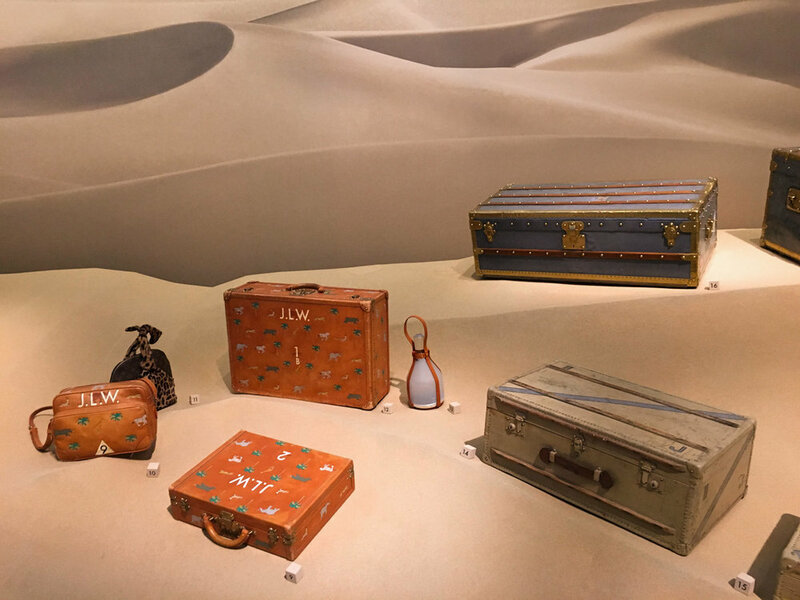 All the wooden trunks, in different shapes, sizes, colors and functionality. 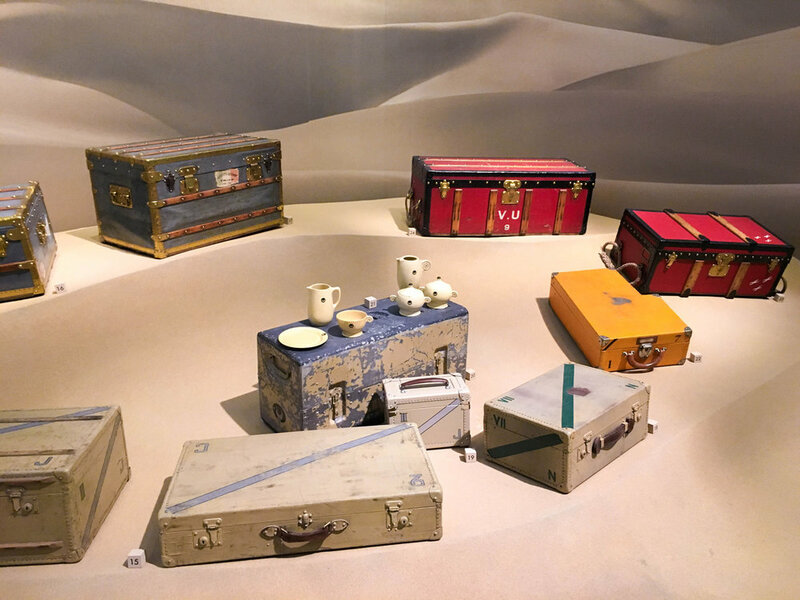 There's trunks that opens up to a portable bed, trunks to fit your picnic tea set, trunks to fit your library, heck what amazed me even more was, there were trunks for skateboards. I didn't know you need to protect your skateboard that much to need a trunk for it :D It's really amazing to see how a box maker, turned his name to such a wonderful house of maroquinerie. I really liked the steamer bag and you can see how it has evolved over the years. Superstar's trunk is literally a walking wardrobe. The maker even prepared an ironing board in any case that one of the clothing wrinkled during the travel, how meticulous is that! 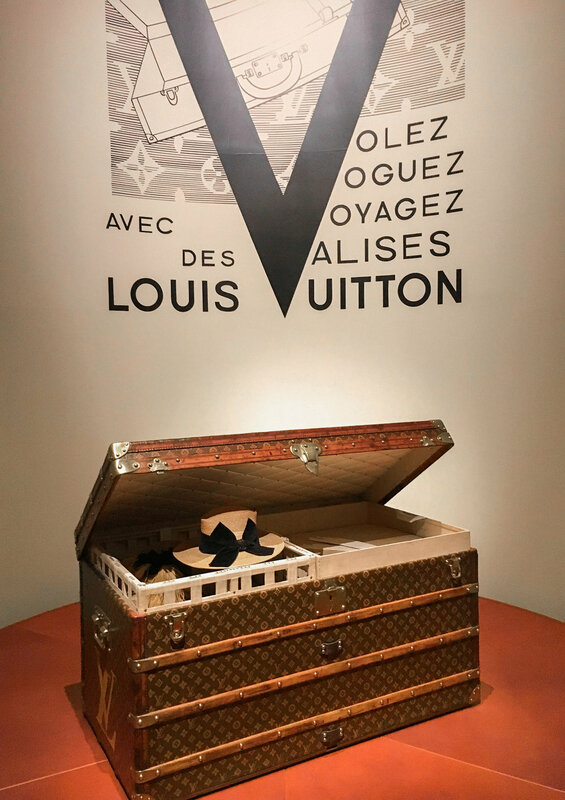 And holy moly, a shoe trunk that fits more than 30 pairs of shoes. I COULD LIVE WITH SOMETHING LIKE THAT! I could find a nice space somewhere in my tiny home, that'd be my most prized vintage piece. 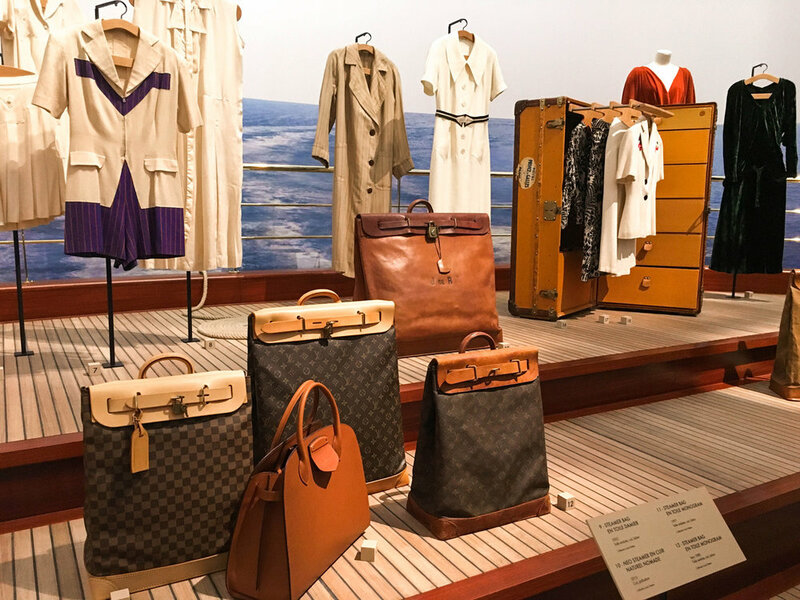 Plus famous designers, Givenchy, Christian Dior, Saint Laurent also have a thing for trunks too. Each of them have their custom trunks all noted down or rather designed on their specific order card. The exhibition ended during the weekend! I'm really amazed by the set design, how they suddenly transported you to the desert, or in a train. A very enjoyable exhibition that opened my eyes during the visit.